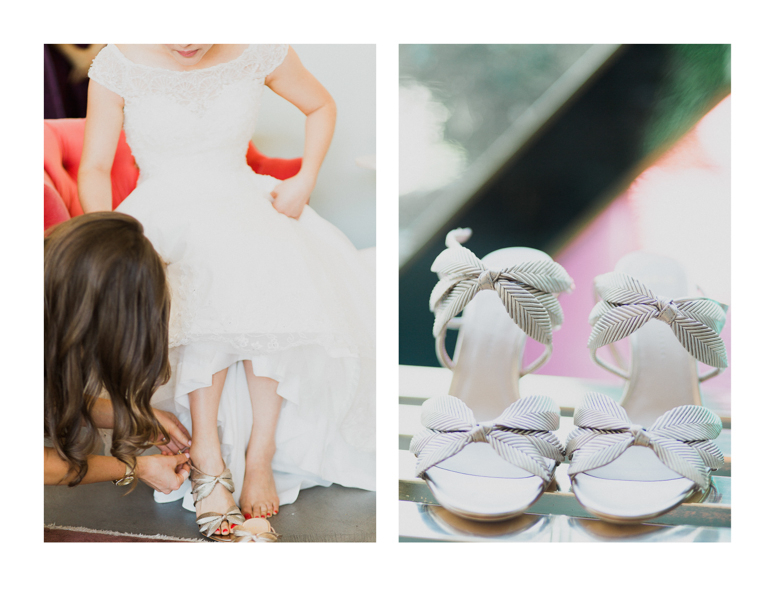 Wedding Planning 101 – Strategically Organizing Your Timeline To-Do’s! 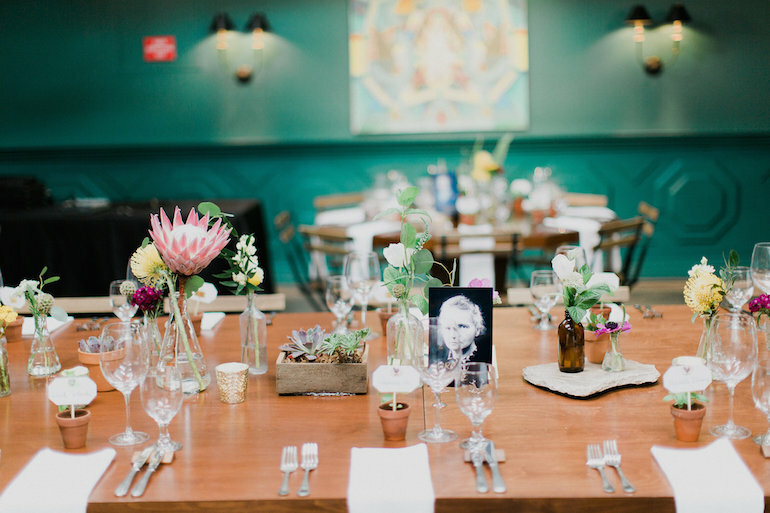 Wedding season is upon us and whether you are planning your wedding for this summer or thinking pretty far in advance, there are a thousand things to do between when you start planning out your wedding and the big day. 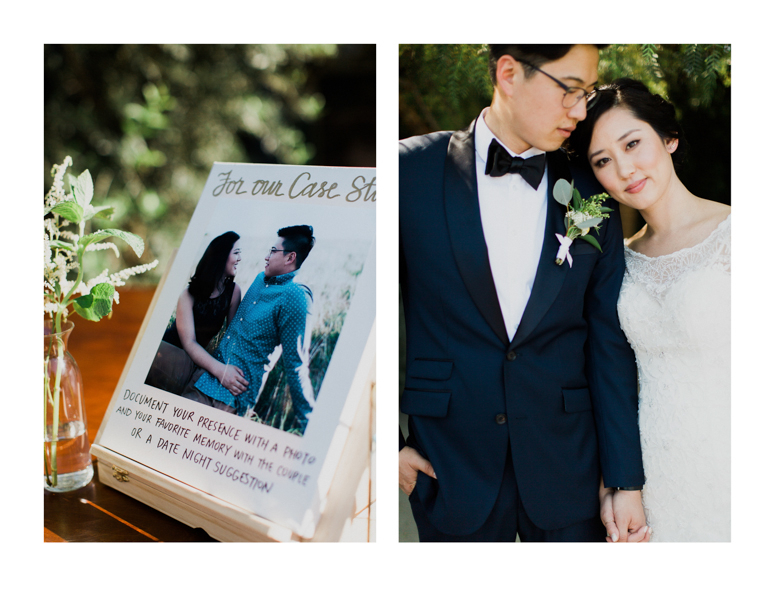 We know that there are plenty of checklists out there that you can find to follow, however timeline templates can be problematic, as every couple’s work-flow, time-frame, and approach to wedding planning as a whole is different (therefore, following a wedding timeline template blindly may not be so helpful to many of you out there!). 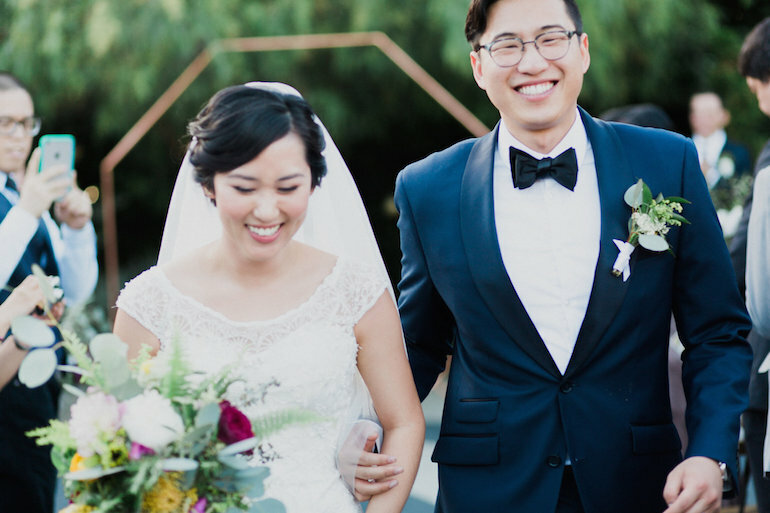 To help you tackle this whole wedding planning to-do list thing, we are sharing a bit of a work-flow guide for putting together a wedding, start to finish. Instead of throwing a bunch of dates and timetables your way (which may or may not work for you), we will present our theory of planning and the overall process on how we like to approach organizing the details of your day in a strategic way. It is important to make sure that each of your decisions make sense in a timely manner. 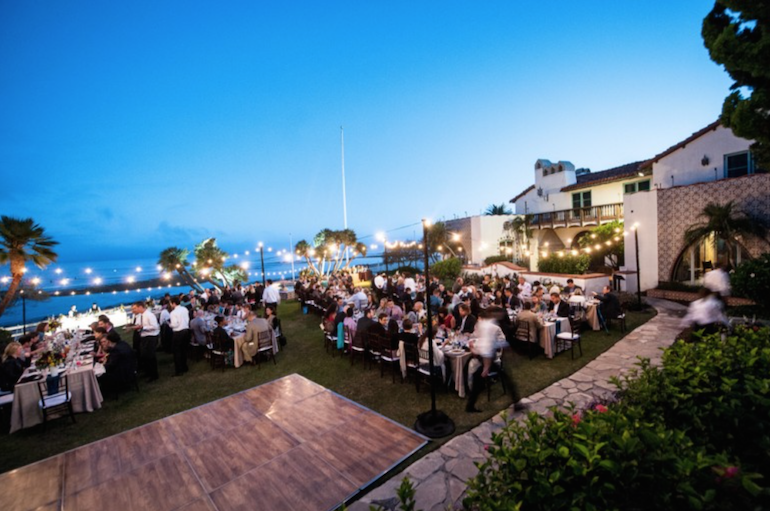 Although some people take a lot of time to plan out a wedding, and others do it in just a few months, we have found the sweet spot for the best possible planning experience to be about 9-12 months. 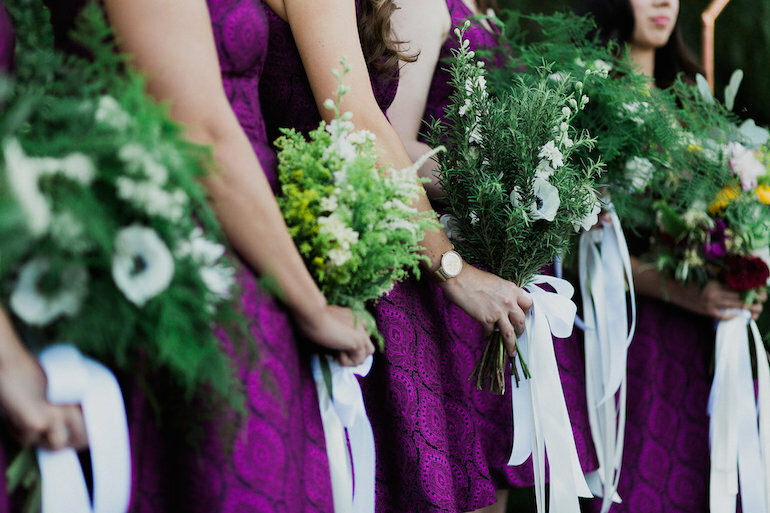 This is a good amount of time since you can get the vendors you want before it is too late and give yourself enough time to make decisions, but not too much time that wedding trends begin to change (or you drive yourself and all your vendors crazy because with time, you keep changing your mind). With that being said, if you want to start planning at 18 months, or 6 months, go for it! We have planned weddings for 200 people in just 4 months, so it is doable. But, from our experience, less than 9 months can make you feel crunched on time and more than 12 months could be giving yourself too much time. So, where do you begin now that you have found the cushion of time you need to plan your big event? We think it best to start with the bigger items and then focus on flushing out the smaller details as you get closer to your wedding… here is what we mean: In the beginning of the process, you will spend more time on larger decisions (think venue and vendors that you value more highly and might get booked for another wedding if you don’t scoop them up). Towards the end, you will be working on a number of smaller decisions simultaneously. Some decisions can take a couple months to commit to. For example, it is okay to spend a couple months going through the tasting and estimates process with caterers to figure out which one is right for you. At the end of the planning process, you will be spending time on all the little things at once – the little details that don’t need attention until your big day is getting near. Don’t over-focus on the smaller details of your day until the bigger decisions are nailed down and you are closer to the event date (about 2-3 months out), as going back and forth on these finite details can drive you (and your vendors) mad. It is important to prioritize appropriately. People want to hit the ground running. However some work needs to be done before a single vendor is booked. 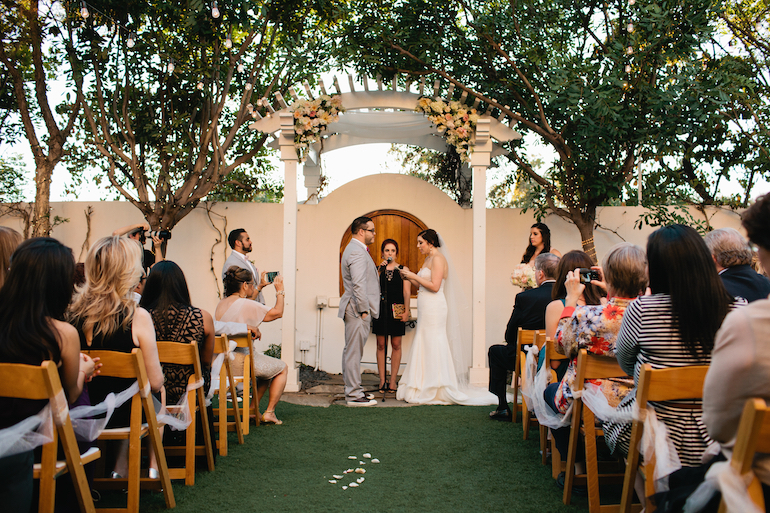 If you are hiring a wedding planner (and we think you should, because we save your sanity and more or less pay for ourselves through the savings we get you), then that is the first place to start! 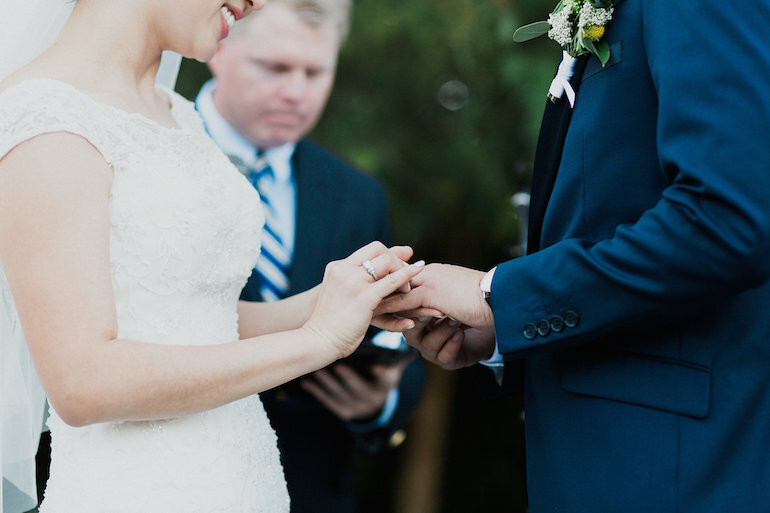 Then, work through what is the most important to you and your significant other – what we at Marisa Nicole Events call “vision casting and values” (which is basically centering your wedding values and overall design vision for the wedding – get on the same page regarding what you are willing to spend time and money on and what you aren’t). Having a strong overall vision for your day are crucial to knowing the vendors you want to hire. 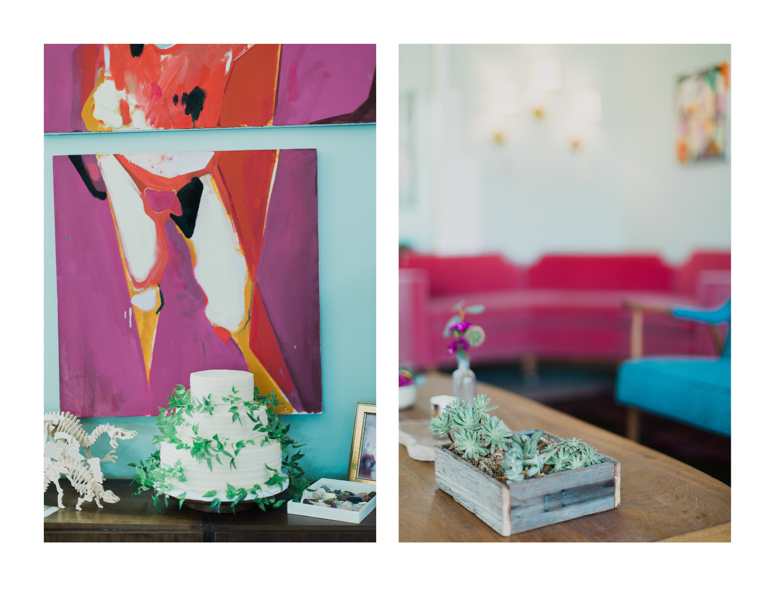 After you know the wedding items that are most important to you, the design you are going for and your overall budget, you can begin the process of selecting your vendors, beginning with your venue. 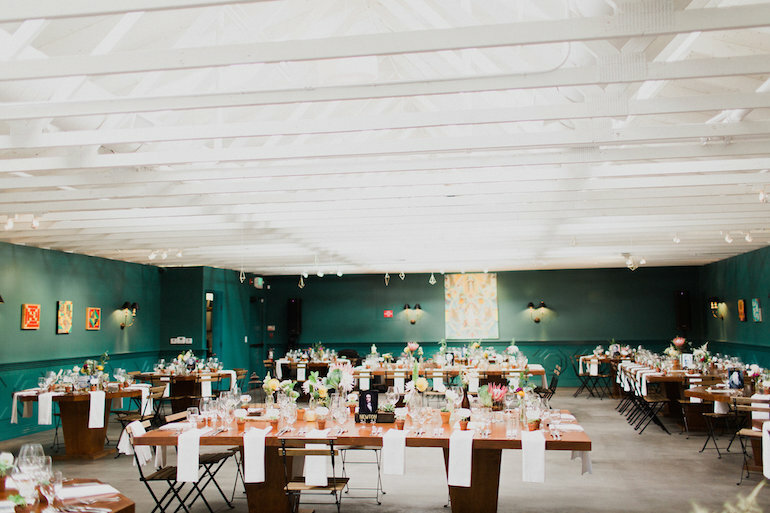 Setting a venue is vital in determining the date and location, so you have a set idea of when everything needs to be planned out by. 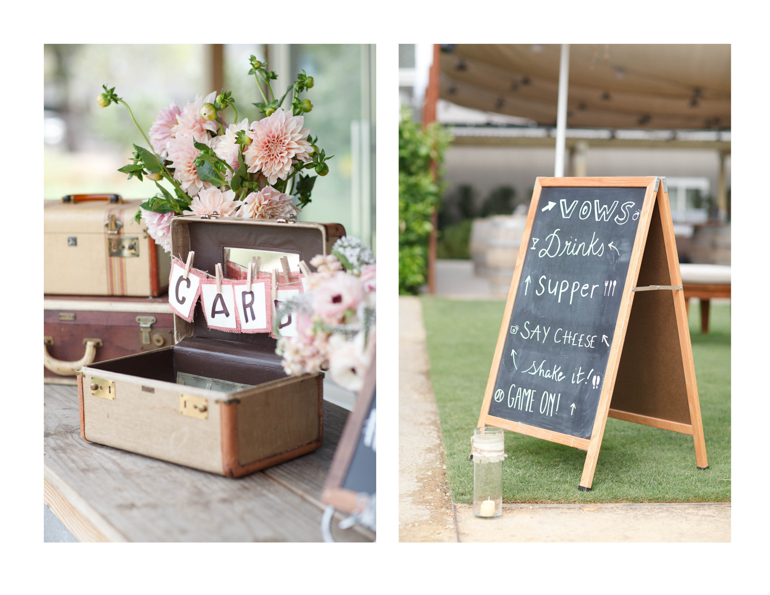 Know your venue and date before you hire a single vendor (other than your planner, of course). Begin with the big hitters (we tend to start with catering and photography). 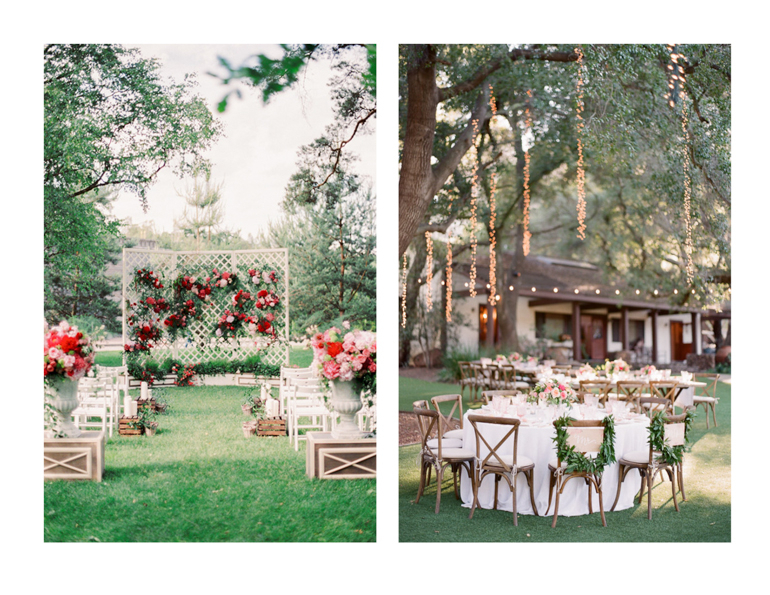 Once your catering is set, you can start working on rentals. From here you can also start looking at entertainment. The idea is to secure the vendors that get booked extremely fast and may not have availability on your date if you wait too long. 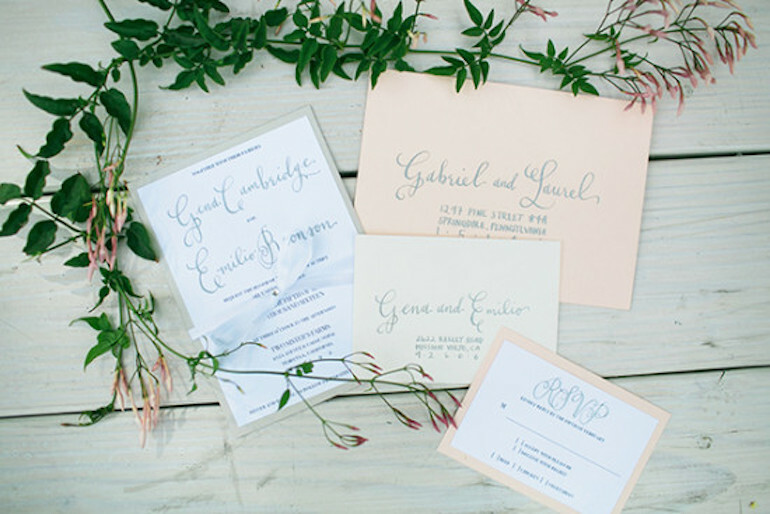 Once you have officially nailed down your design, you can figure out your florist, invitations and rentals. We would suggest focusing in on printed items first, as you will want to send out save-the-dates as soon as possible (6-12 months out), once your location and date is set. The next tier of vendors are the ones that don’t cost as much (linens, cake, hair, makeup and specialty rentals, transportation and valet). With all your vendors and designs set, you can now begin to work on your day of timeline. I would suggest doing this once you are 3-4 months out since there are a lot that needs to be done before then. If you do this too early, things will change and you will only be creating redundant work for yourself and vendors. While you are working on your day of timeline, you will also start working on the super small details of your day. This includes thinking through the minutia of the wedding such as sending out invites, tracking RSVPs, creating a photo list, creating a music list and pretty much anything else your vendors need from you. You will need to figure out precise details of the ceremony and design accessories – exactly what signage and how many candles you will need. These are all included in this work for the month that can affect your day of timeline. Whew! With the month of your wedding approaching and all the details set, you will be able to do last minute things, make final payments, final counts and finalizing your day of timeline. 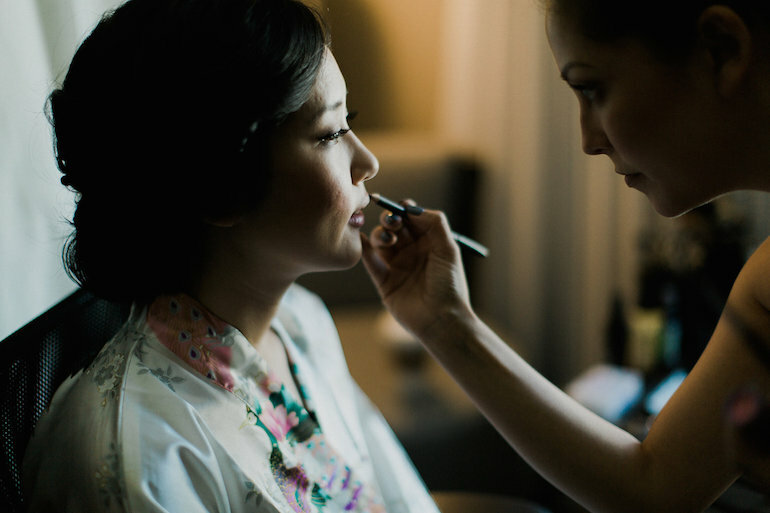 There is no need to rush, we hope to have laid out for you everything that needs to be completed before your big day. Now you may strategically plan away! 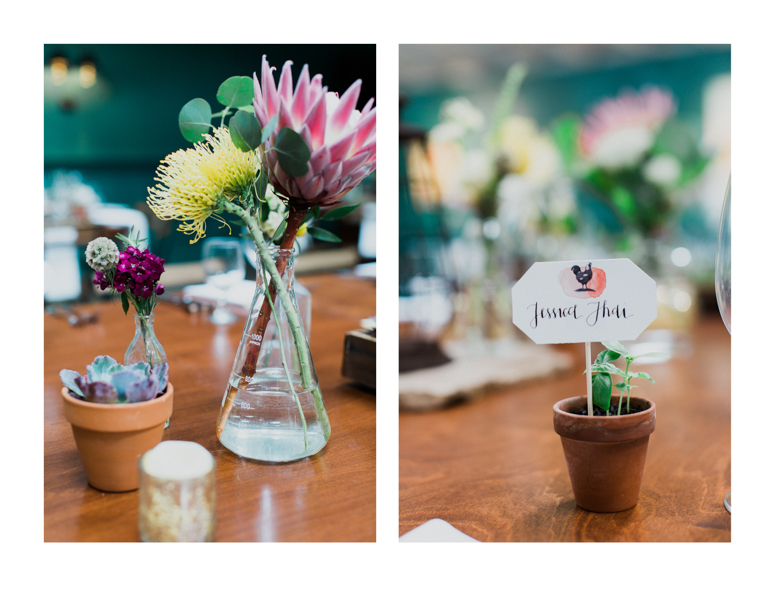 Mad Science Inspired Wedding: Victoria & John Married! 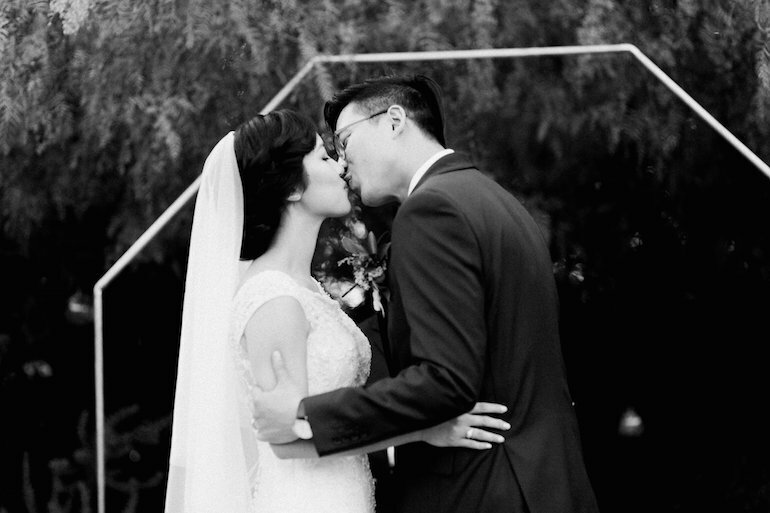 This month, we wish a very happy one year anniversary to Victoria & John! 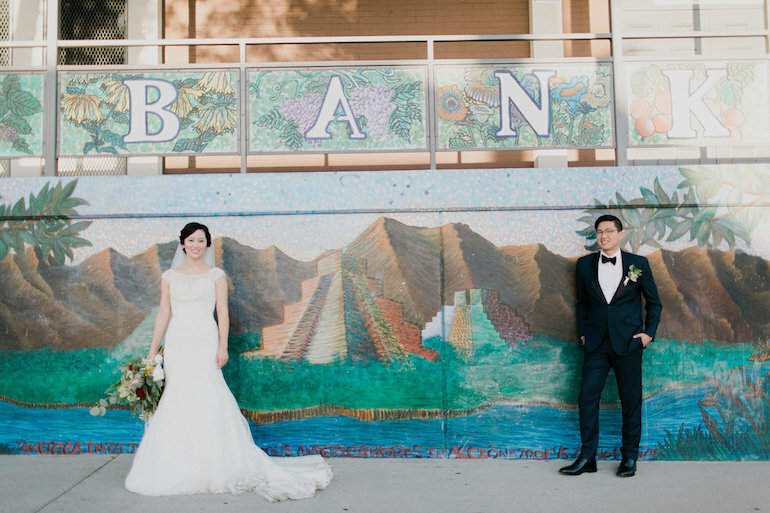 Today, we are super excited to share their quirky, science styled wedding, filled with tons of color and DIY projects. 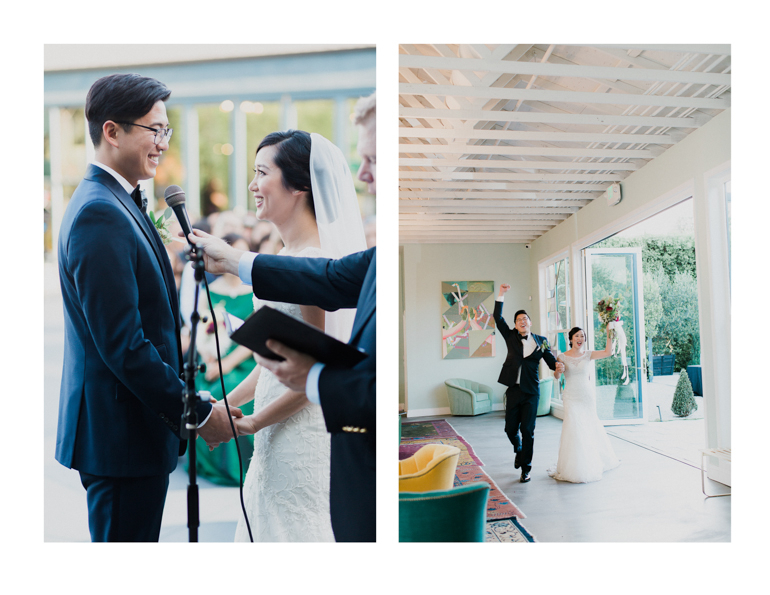 We were in need of a backdrop with vibrant hues and lots of character, which made The Fig House was the perfect venue for this cutie couple’s celebration! 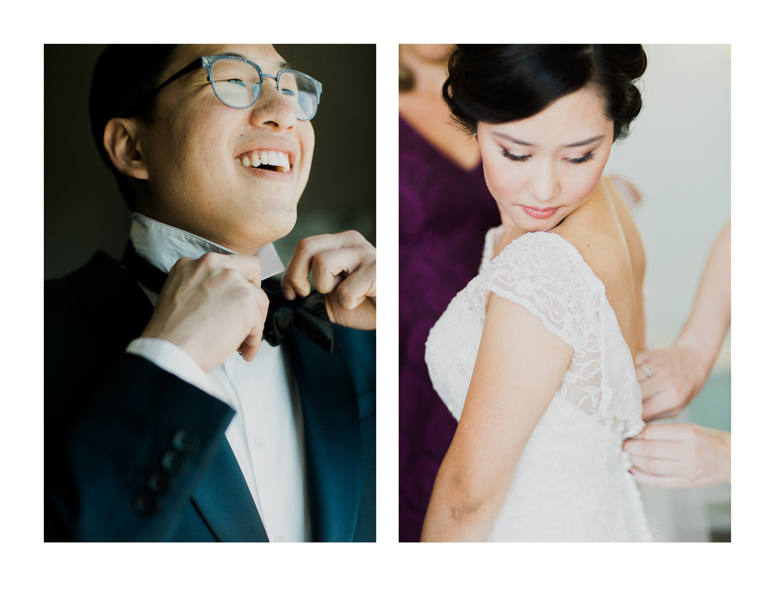 We worked together with these love-birds to weave texture and variety into each and every detail. 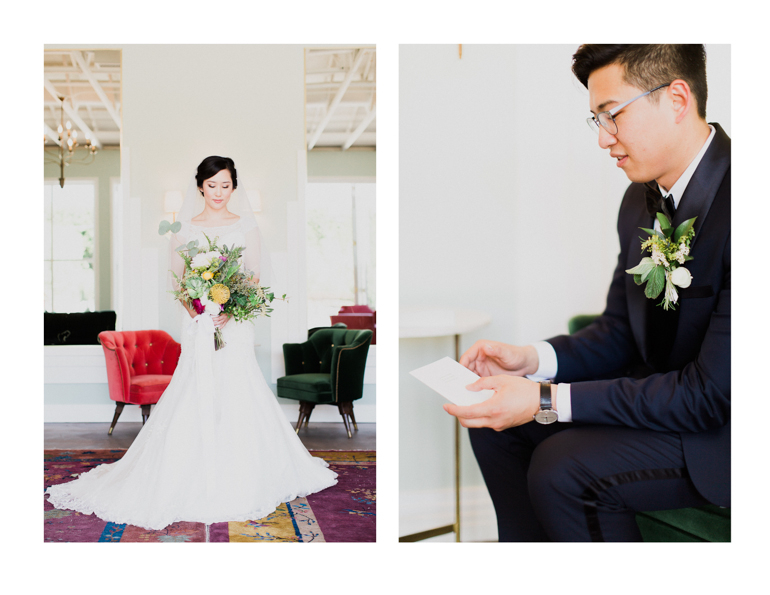 One of the great things about this couple is that weren’t really concerned about doing what was on-trend or replicating looks they saw online, but instead wanted to collaborate to design a wedding that was a true extension of their worlds (both individually and as a couple). 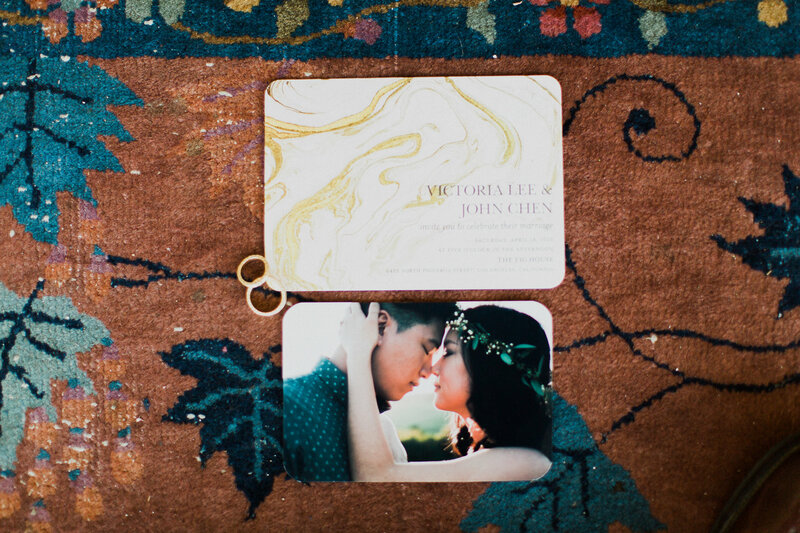 Victoria & John’s wedding truly expressed how the couple marches to the beat of their own drum. 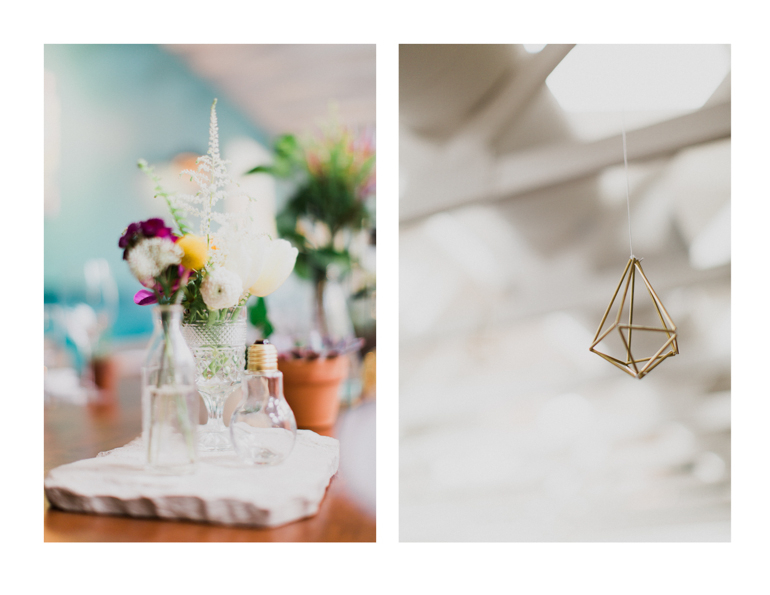 The designs were all angular and had a minimalist, organic feel, with each floral placement popping with colors and complemented by greenery. 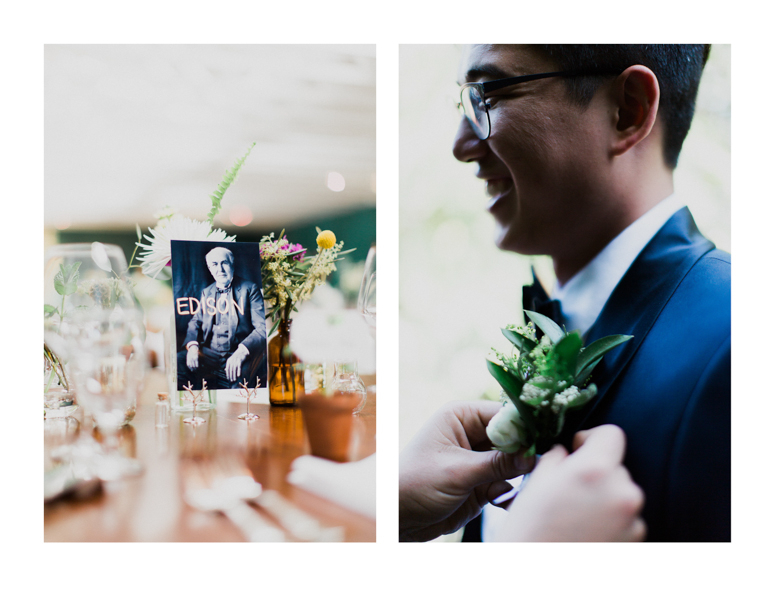 From Victoria’s personalized herb favors to John’s music selection and from a plethora of scientific paraphernalia to the countless hand-crafted DIY details, this wedding was full of personality. John and I were introduced by friends and living in different cities at the beginning of our relationship. Through many hours on the phone, we discovered shared loves for: faith; food and cooking; science fiction (we bonded over the TV shows Fringe and Futurama. ); and J.Crew. Our visits to each other were composed of exploring restaurants in the SF Bay Area and LA, hiking, and visiting museums. When it came time to plan our wedding, we ultimately wanted to have a great celebration with our loved ones. We made sure to have tasty food, good drinks, and fun music. 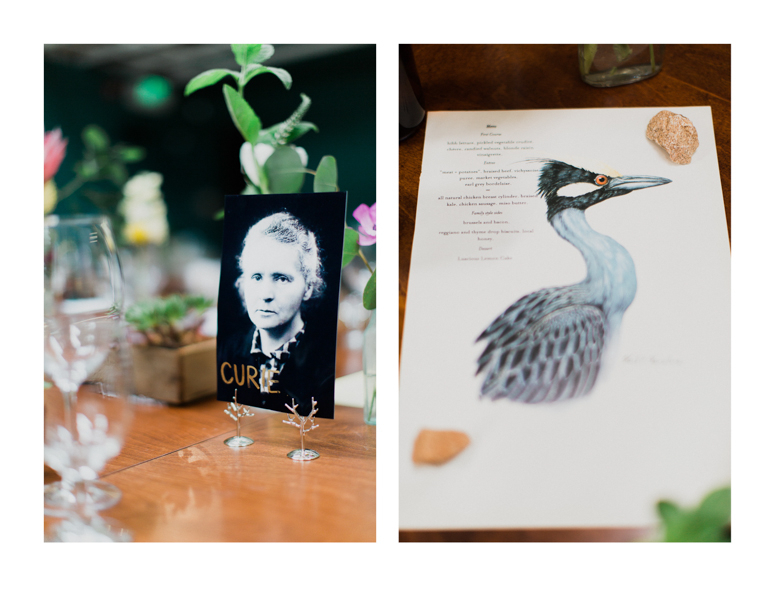 As for décor, we went for “mad naturalist” – science-themed, but with lots of nature and metallics. We tried to reflect this in the floral arrangements (which were amazing!) and DIY projects. We created the octagon backdrop from copper pipe, and John made the himmeli ornaments. Victoria loves gardening, so she planted all the herb favors herself from seeds; she also made the wedding signs and wrote the place cards. We went a little geeky with the wooden dinosaur models, John’s rock collection, and famous scientists as table names, but it was a lot of fun! 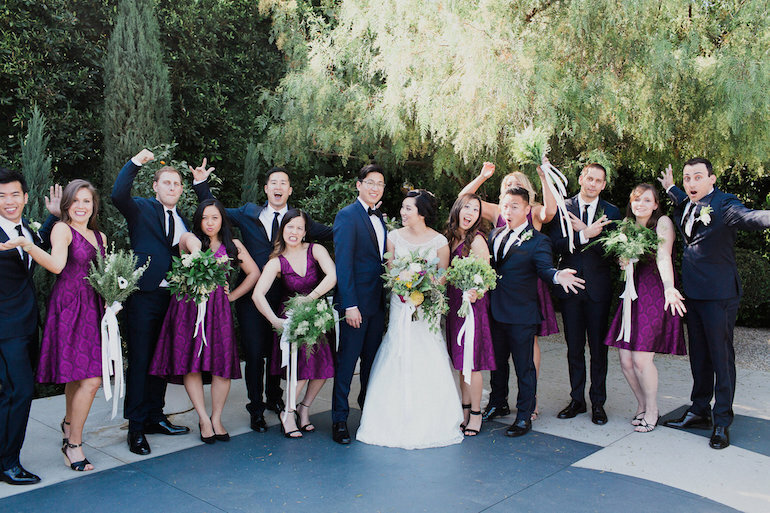 John loves music and created the playlists for the different parts of the wedding. Yes, our recessional was the Futurama theme song! It’s hump-day, and today we’ve got a serious craving for a giant piece of super yummy cake (calories be damned). We all know that you eat first with our eyes, so we feel that the way your cake looks on your wedding day is rather important. But more than that, as designers we work to use every single visual and aesthetic at a celebration to help create the overall look and feel of an event. 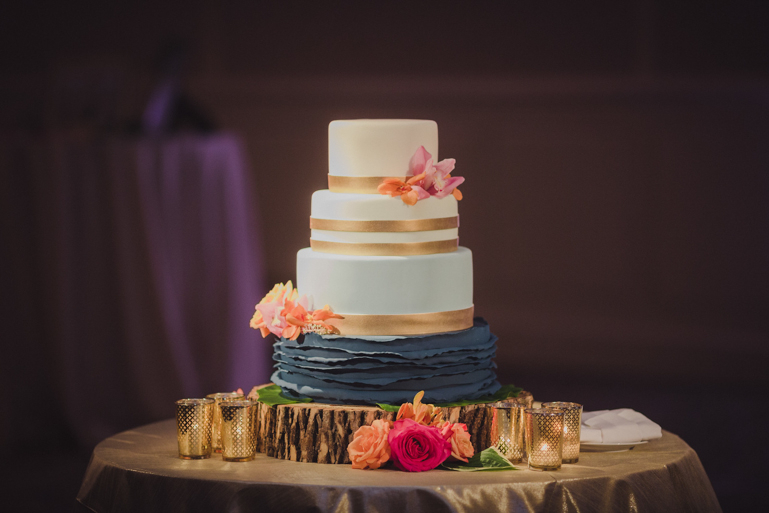 We see your wedding cake as not only a way to honor a tradition and serve your guests dessert at the same time (two birds, one stone), but also as an opportunity to help bring your vision to life. We encourage you to avoid just mirroring the design of a cake you like, but to use your cake to further the visual story of your day. 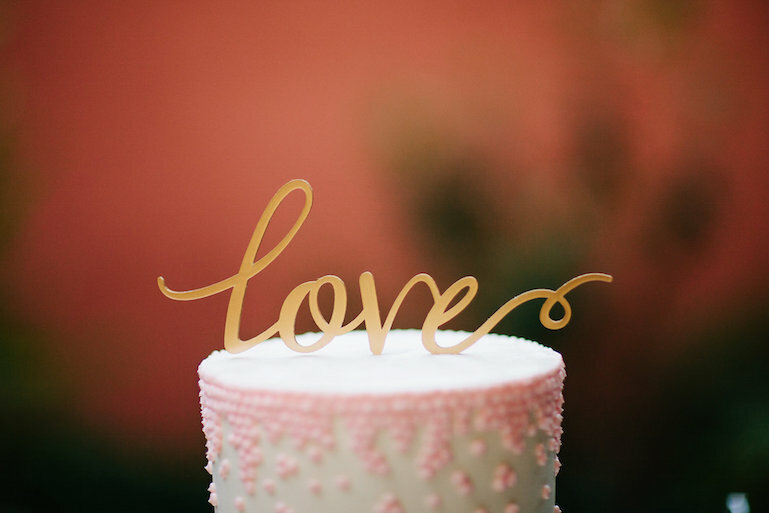 Today, we have drawn upon some of our favorite cakes to that can help you figure out how to do this on your wedding day, with your wedding cake! 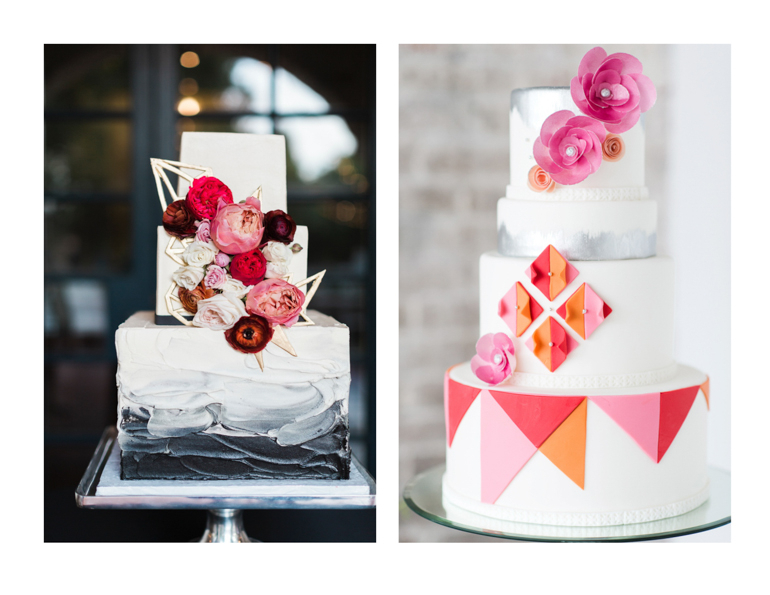 For an art deco or modern, funky vibe, incorporate the use lots of lines, shapes and colors onto your cake. Geometric lines can help create the stylize look you are going for. For a homemade, sweet and simple look, allow the icing to have a textured finish. Bring it up a notch by incorporating little details, such as an ombre effect or a touch of lavender, to act as an extra accessory on the cake. 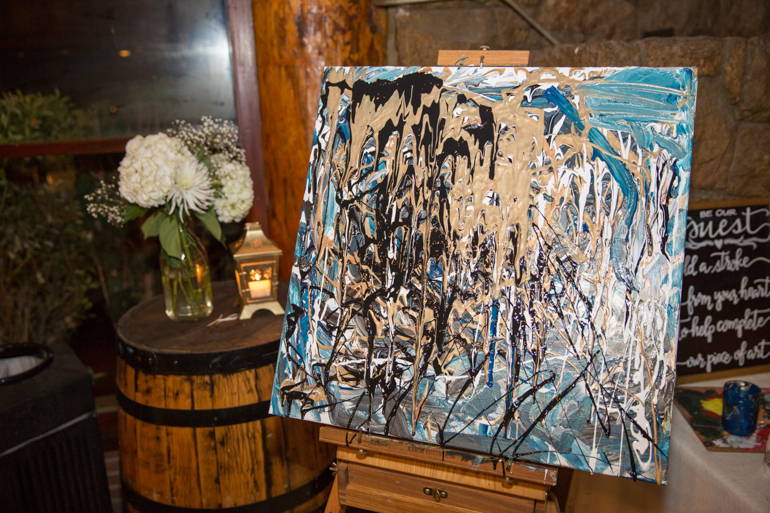 The word “rustic” can mean something different for everyone, and it has become a popular wedding direction in the last 5-10 years. 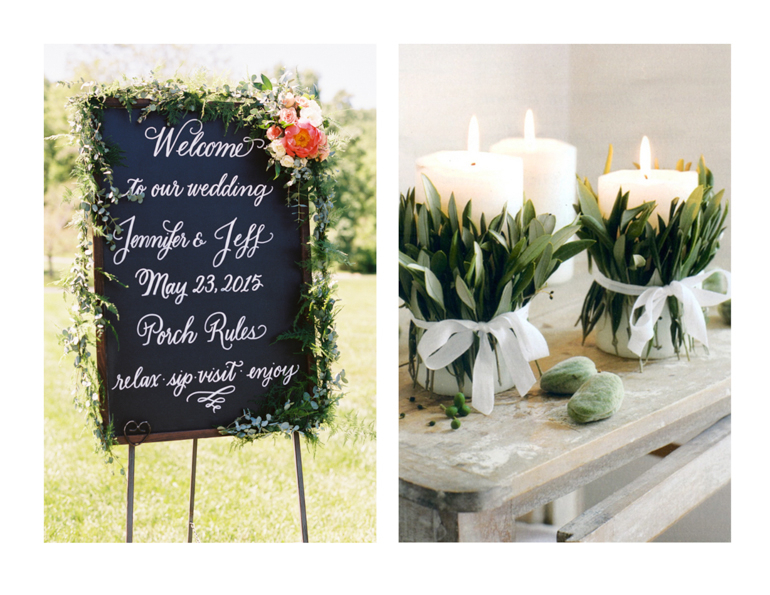 When we think of a rustic wedding, the look incorporates nature and creates an organic feel. 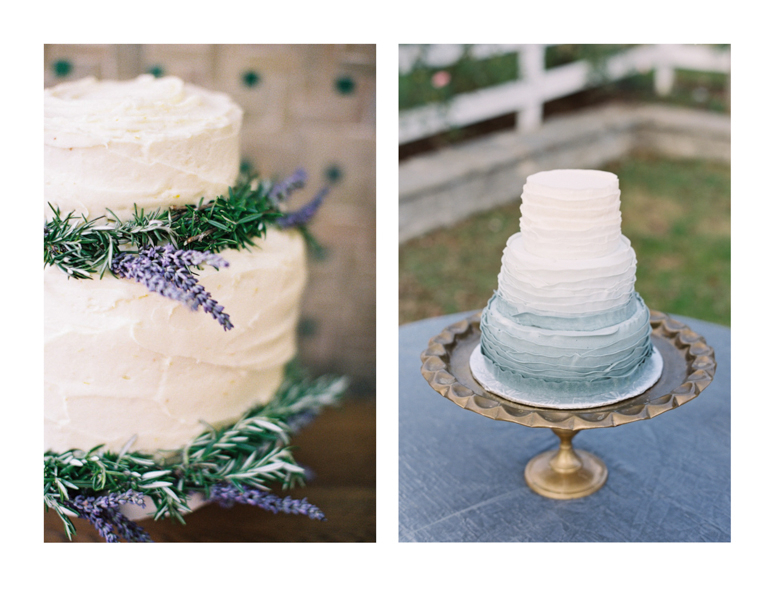 Use greenery on your cake or even have a wooden round cake stand to help bring your look to life. 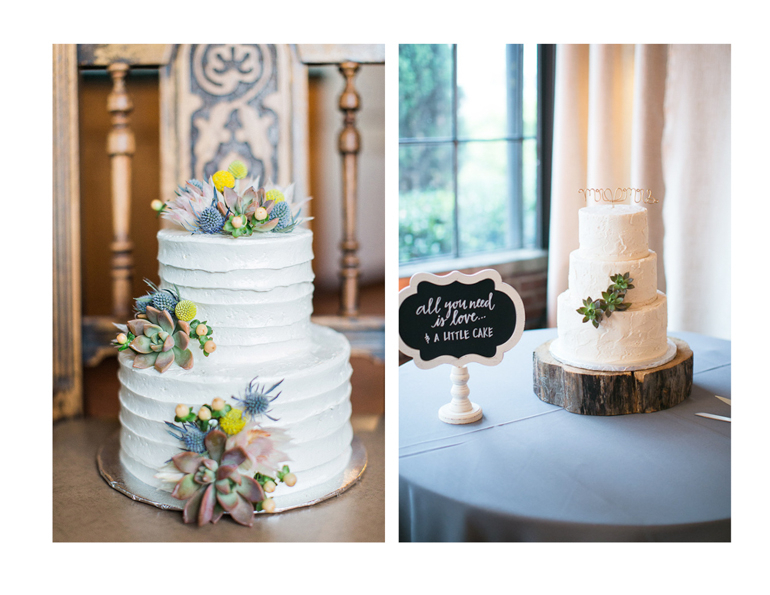 Couples can sometimes overlook fall and winter wedding cakes when designing their wedding style. 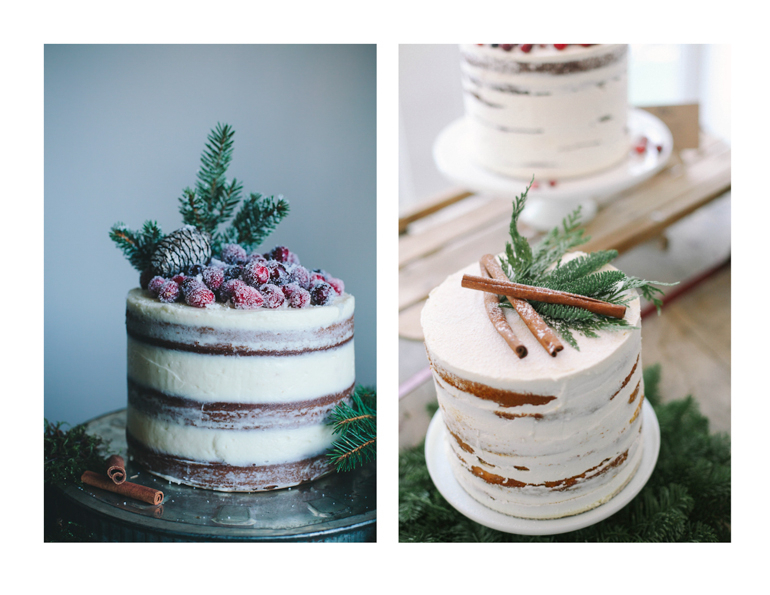 Adding pine-cones, pine needles and cinnamon sticks to your cake can bring your guests closer to the holiday spirit while giving your cake a fabulous and timely style! 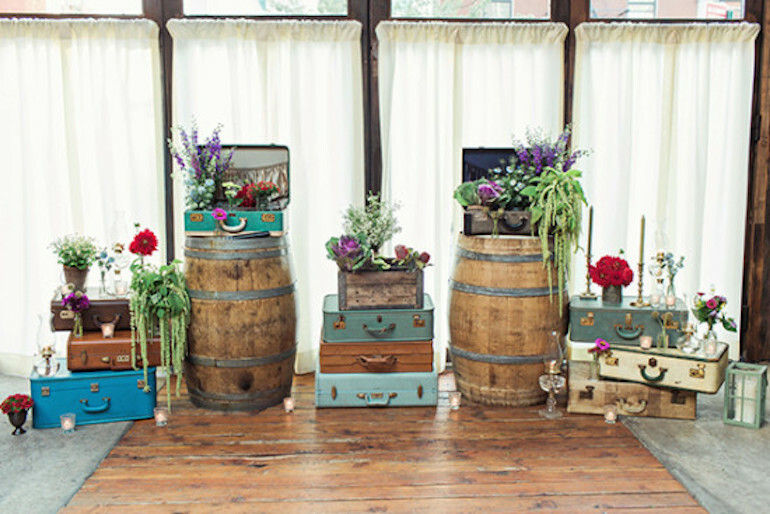 Themed weddings can be a lot of fun and the possibilities are endless! 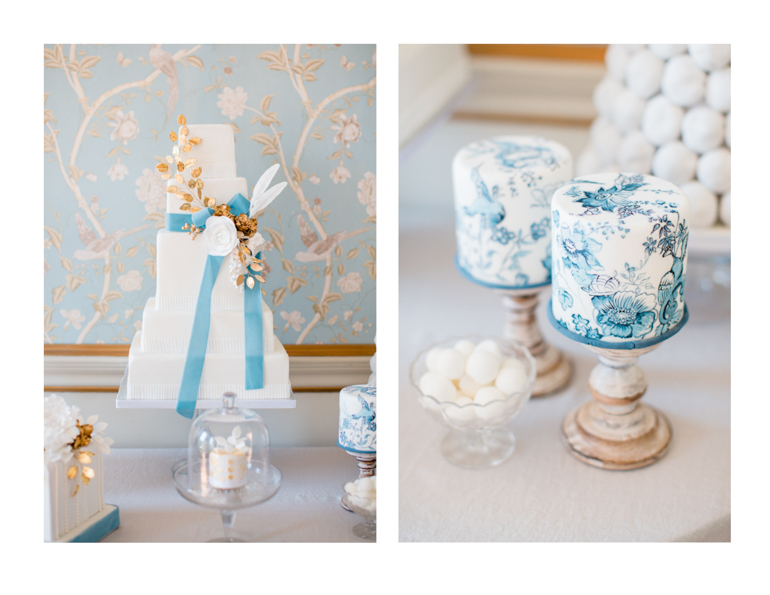 For couples who choose a highly themed aesthetic direction, all the decor tends to go together, so don’t forget to also match your wedding cake to the theme as well! Even though white cake is a traditional look, and we are encouraging you to think outside the box with the look of your cake, the overall goal of today’s conversation is to get you to use your wedding cake to further the design of your celebration. 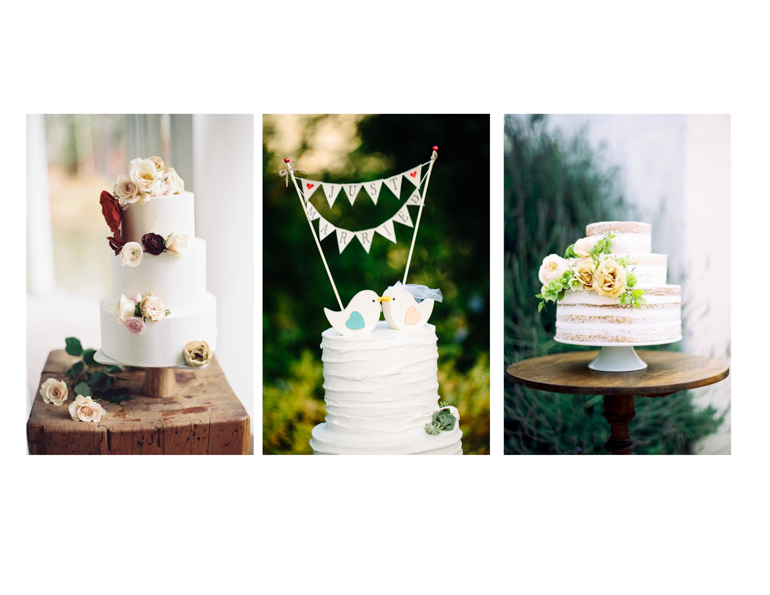 Therefore, going the white cake route might just be the perfect cake plan for your sense of style! 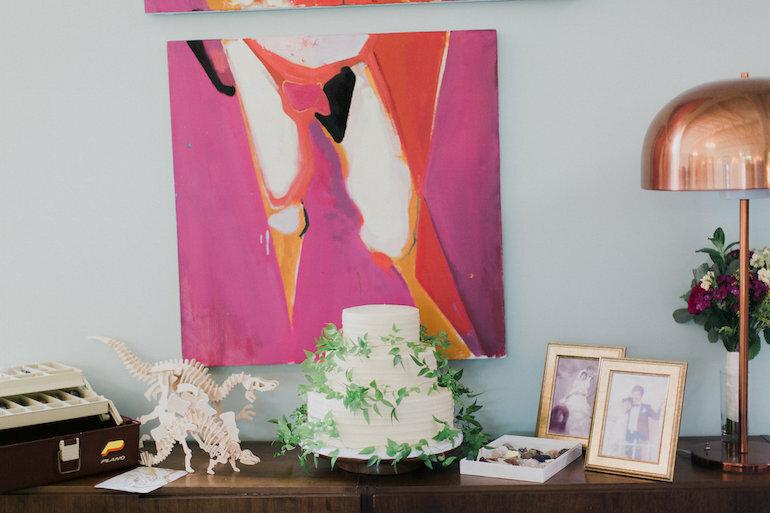 You could go fully clean and modern, incorporate a few florals for a bold pop of color, or even display a sweet cake topper! We also LOVE the look of a naked cake with simple white flowers. Seriously, so pretty! 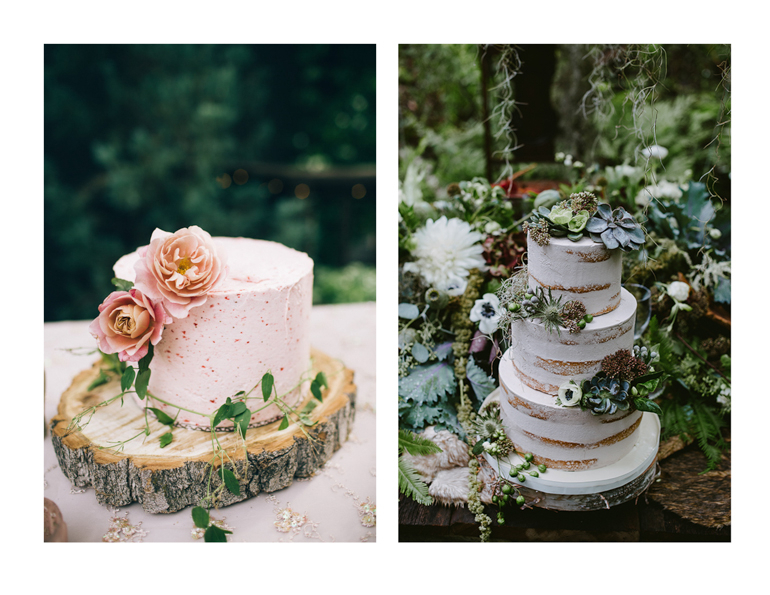 When it comes to the look of your wedding cake, there are no strict rules you need to follow… so we beg you to choose a design that served the overall wedding aesthetic. The design of your cake is an opportunity, so take advantage of this chance and have fun with it! Not only will cake taste good, but the style will be beautiful and your guests will have yet another detail to swoon over at your wedding. As you are working out the minute details of your wedding, we’re back with more ideas to get your creative juices flowing! 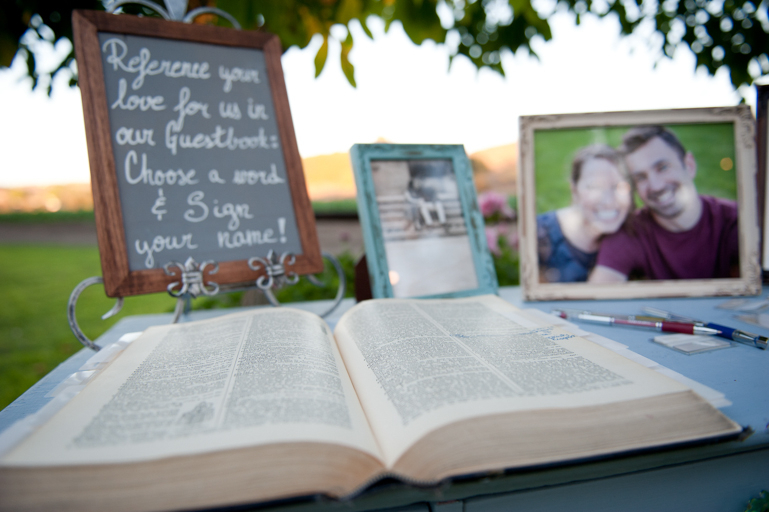 A guest book is one thing that is present (in some shape or form) at pretty much every wedding. Whether or not you like the idea of a traditional guestbook, your guests will want to document their presence at your celebration. 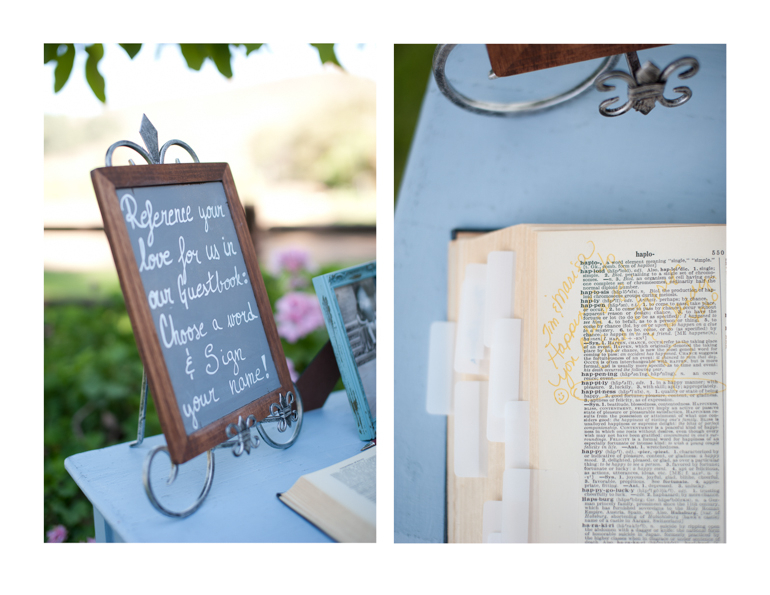 Some people really love the clean look of an elegant guestbook. 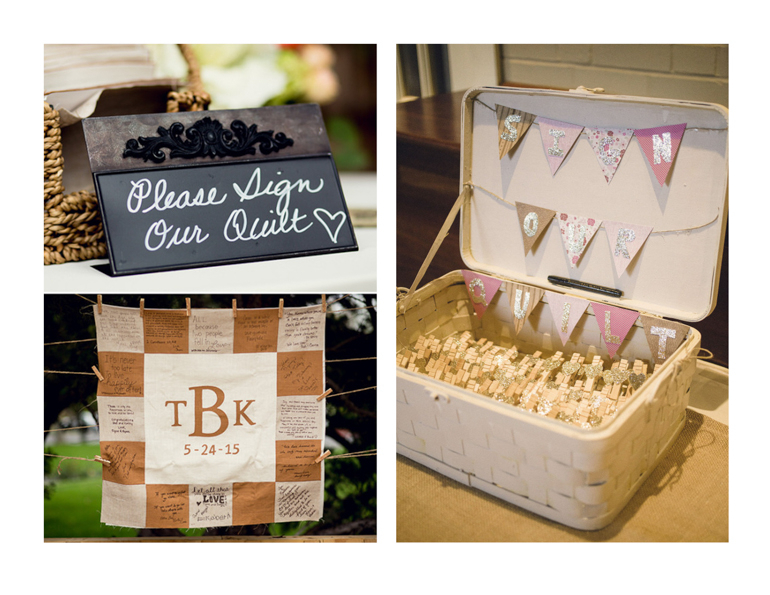 However, some of our brides want to shake things up, and have their guests participate in an activity or project that will not only serve as as check-in for guests, but also as a memorable keepsake for the couple to treasure for years! “Add a stroke from your heart to help complete our piece of art.” You could even use tape to create a word on the canvas so when the piece dries, you can take off the tape and have a word spelled out in the white, untouched space. Grab an old dictionary and have guests circle words that remind them of you and your significant other’s love for each other. 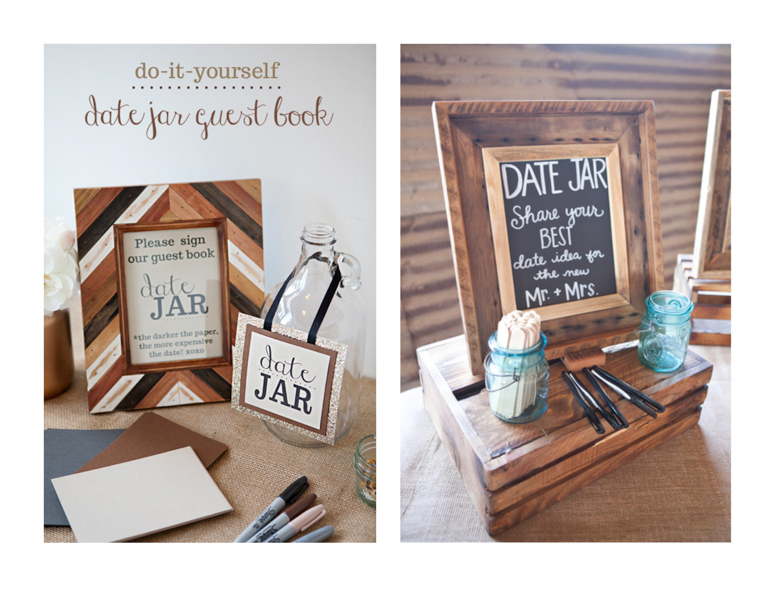 Have your guests share some of their favorite date ideas! On Something Turquoise, you can even learn how to create your own date jar. If you want to still have a traditional guest book, add a little pizazz by having guests take photos of themselves and adding it next to their signed name. Create a quilt for guests to “check in” on. You can either have the quilt already made, or sew all the pieces together once all the guests have signed a piece of fabric. 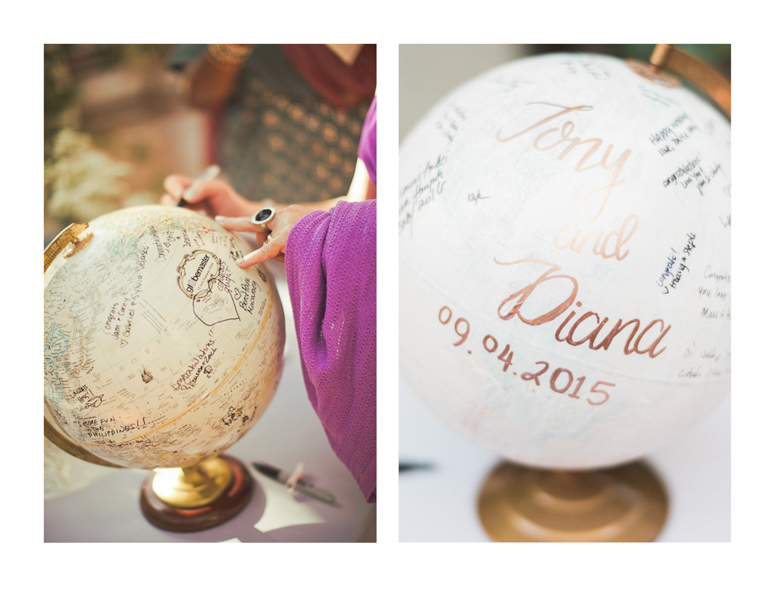 For the couple who travels or are from different parts of the world, have guests sign a globe. This would also make a great accessory to your living room. 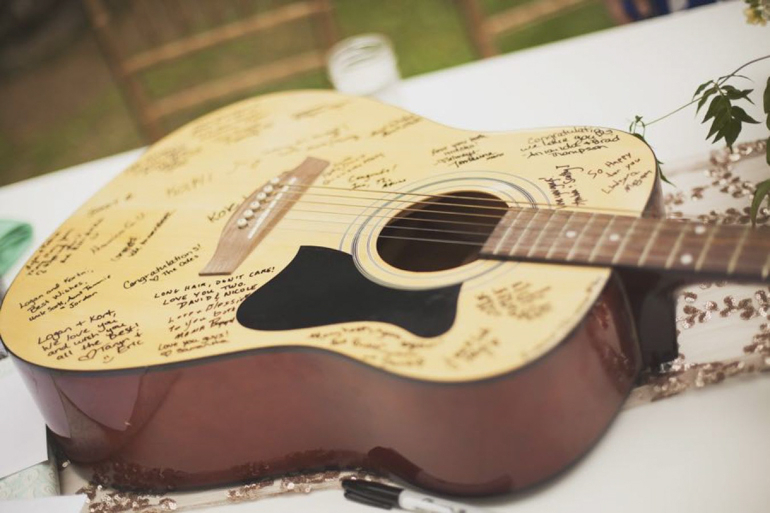 If you are having an outdoor wedding or if music is a huge part of your life, then have guests sign a guitar or other musical instrument. 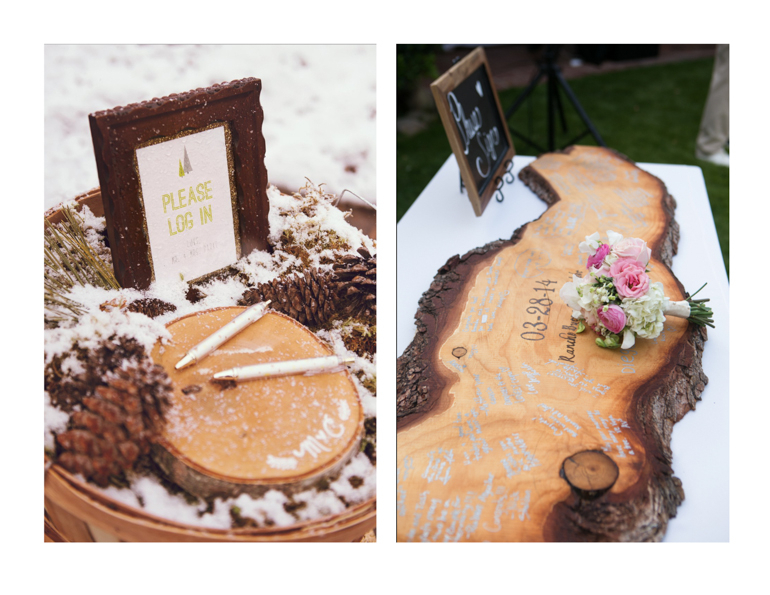 Signing a log can be a seasonal guest book for winter or fall weddings, but can also be the design to complete your rustic wedding look. 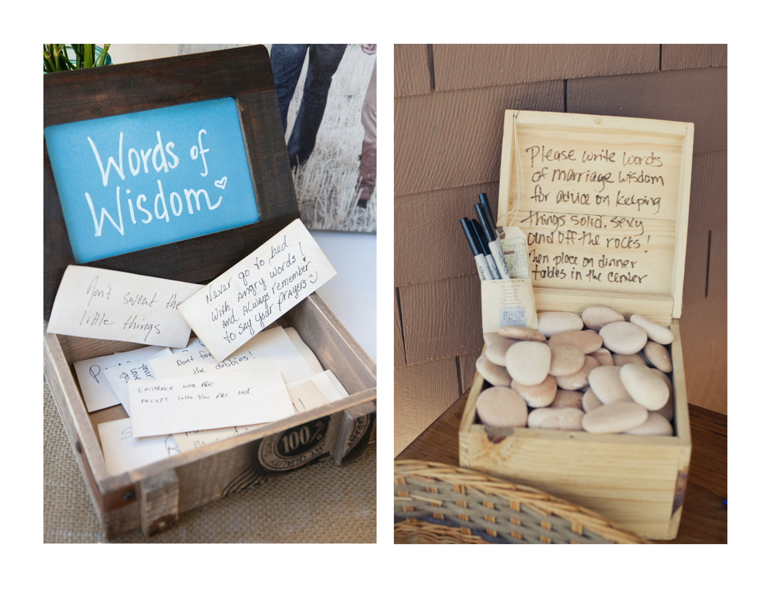 Create fun ways for guests to give their words of wisdom. A chest of advice or writing them on stones is just the beginning of all the different ways to give advice. 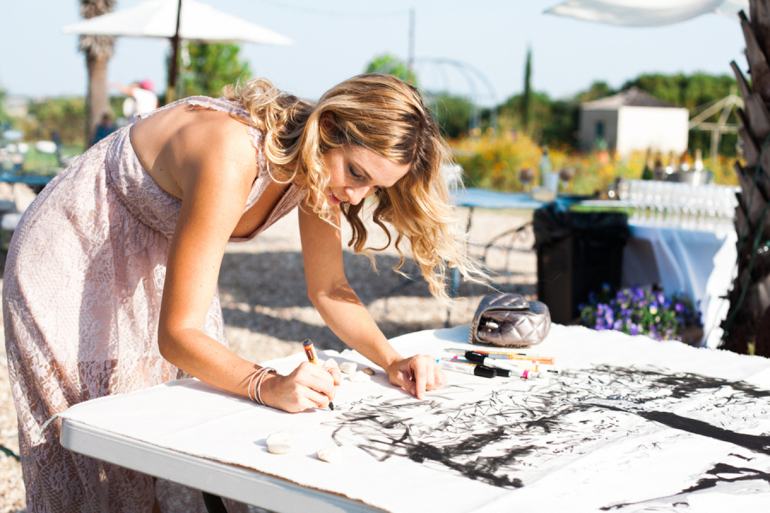 We hope you have gained some inspiration through some of our favorite guest book ideas. 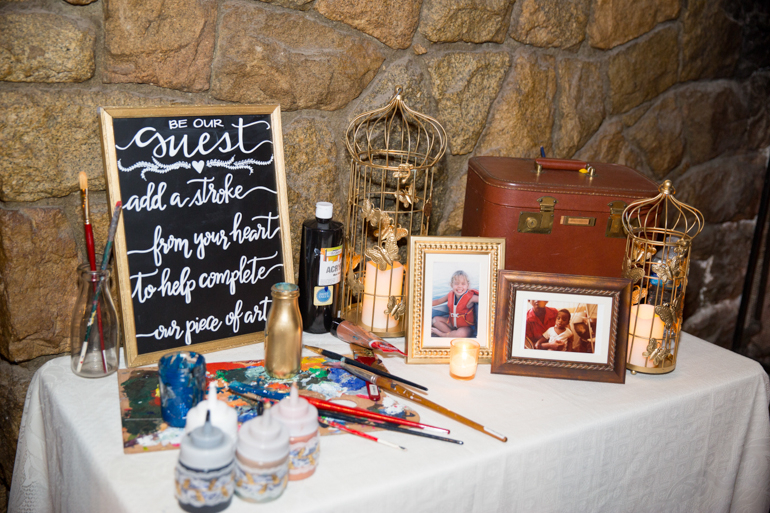 A unique guest book is also a fun way to keep your guests intrigued and engaged. 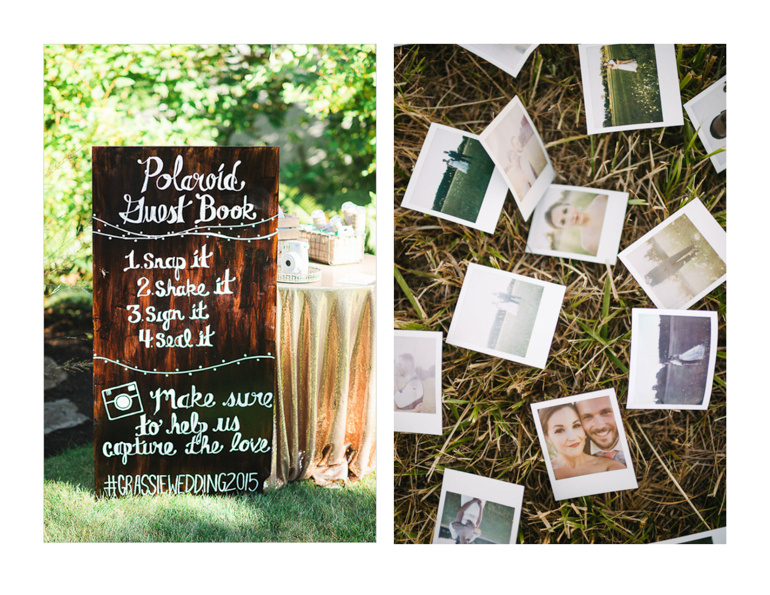 Make sure to follow our Pinterest board for more guest book ideas!